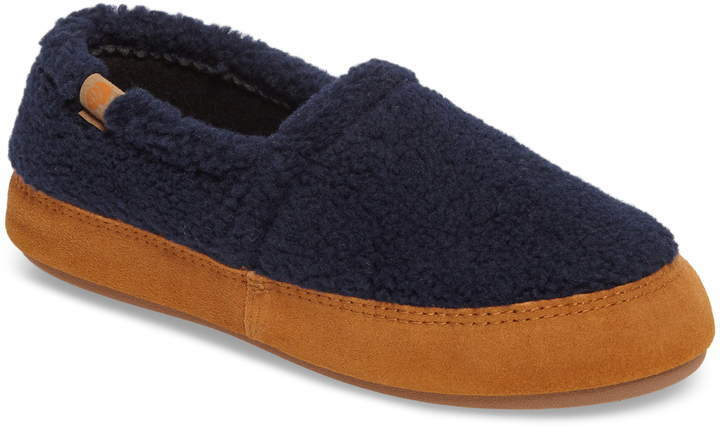 Cozy, printed fleece or fuzzy faux fur add softness and warmth to a perennial-favorite moccasin-style slipper outfitted with moisture-wicking fleece lining and a weatherproof sole with skid-resistant treads. 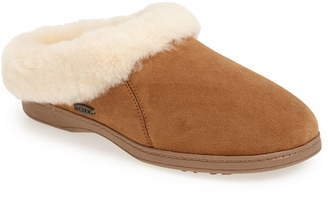 They're machine washable, so you can toss them in to freshen them up whenever you like. 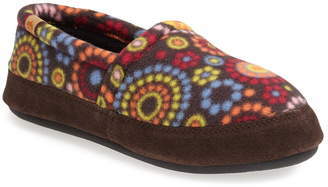 Style Name:Acorn Moc Slipper (Women). Style Number: 16684. Available in stores.